On-ground swimming pools are made from the same materials as in-ground pools, but have the flexibility to be installed partially in-ground, above ground or entirely in-ground. All on-ground swimming pool kits come complete with everything you need: steel walls, top rail, hardware, drive stakes, joint covers and liner. With the addition of decking, your backyard dreamscape will be the envy of all your neighbours. The Ultimate pool can be installed aboveground, partially in-ground, or completely in-ground to fit any yard or slope. The 14 gauge in-ground quality steel gives the pool unmatched strength and durability to last a lifetime. 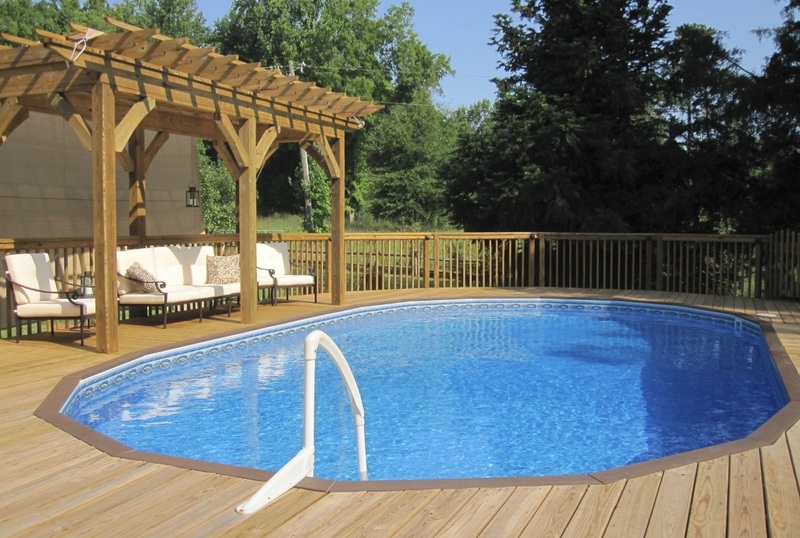 This versatile pool can be customized to fit both your yard and your budget. Stop by and visit us at 760 Century Street and we'll go over all the options for your own backyard paradise! In Winnipeg, there are guidelines and codes to be followed when building your swimming pool.